Fruitty cake house was one of the more famous cafes in Klang years ago...I can still recall going to the place right after church just to have some of their famous Nasi Lemak & cakes YEARS ago...good times indeed. So when i found out that Fruitty had opened a store in Tesco Shah Alam, i knew i had to try it! This is now one of my favourite lunch places in Shah Alam. 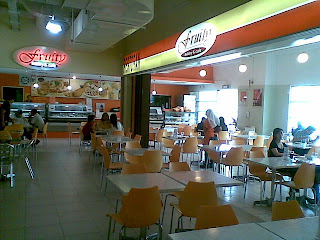 Fruitty Cafe is located on the ground floor, and its easily visible from the outside. They offer daily lunches here, mainly to attract to working crowd. You'd have to order & pay at the counter, next to all those yummy yummy cakes, then find a place and the waitress would serve you your meals. Me & Carmen both ordered the Nasi Briyani with Rendang Chicken set, which comes with the cake of the day and a glass of iced lemon tea. 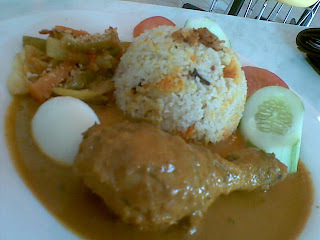 The nasi briyani was a little bit blend to be honest, but the Rendang made up for it. Chicken was cooked to perfection, just soft enough yet the meat still holds together and retains all its juices. The Rendang sauce must be one of the best sauces in cafe standards....beats any of those old town/new town whateva kopitiams hands down. Must try! nothing like rice & good sauce eh? 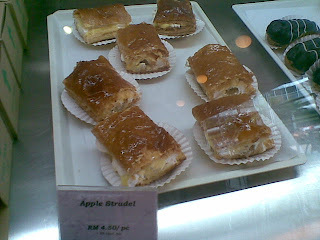 Another trademark of Fruitty is their Apple Strudles. 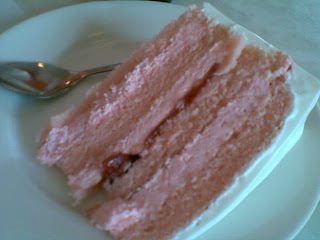 They claimed that the recipe came from Australia...how much of that is true i dont know...but they are really good. Apples inside taste just right, not too sweet yet just enough to not let the acidity overpower the whole strudle. Pastry skin is very crunchy too. 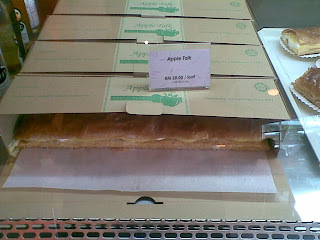 You can buy a piece for RM4 or a whole "log" for RM20...Trust me, you wouldnt wanna miss this. 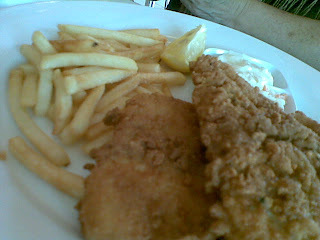 The bill came to less than RM 14.40 per person, very worth it. They do have different choices as well...ranging from Nasi Lemak to Different Sandwichs. Price wise they're all below RM15. 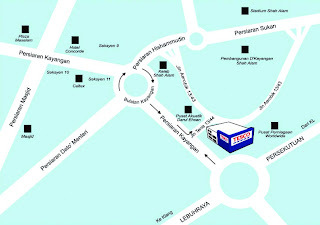 Heres a map for you readers. I have include the address & contact details of their Klang outlet as well just in case. Doggyjames says...A old name in Klang making its comeback...do try. Their nasi lemak is another must try.